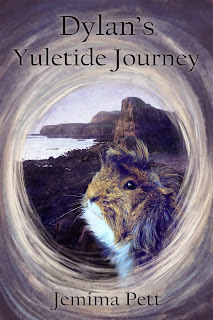 A new short story starring the Princelings of the North has been published on Smashwords, Dylan's Yuletide Journey. Dylan and Dougall live in a remote castle on the west side of the Isle of Mull. Castle Haunn is in trouble; its strawberry juice stock is running low and threatening the loss of their power supply. That is bad enough, but it's just before the Yule Festival, which starts on Solstice day and ends on Green Willow Day (New Year's Eve). No power means no heat, no light and no hot food. The supply ship was lost in a storm. What can be done? Dylan is the castle's messenger, so he is sent off with an urgent request for help. On his way back he discovers strange goings on in a cave. His uncle and two others are turning strawberry juice into alcohol and smuggling it abroad! And his uncle isn't going to let Dylan's discovery spoil his little game. Will Dylan survive? Will Castle Haunn have a cold lonely Yuletide? You'll have to read it to find out! Dylan's Yuletide Journey has seven chapters, c.7,000 words and is suitable for Middle Grade readers aged 8 and up. And it's FREE! Available only for a short time, Dylan's Yuletide Journey can be downloaded from Smashwords in the reading format of your choice. Look for the secret code that entitles you to entries in the Kid Lit Holiday Extravaganza on the Princelings website 6th-13th December! Dylan's Yuletide Journey is now withdrawn, probably till next Yuletide.